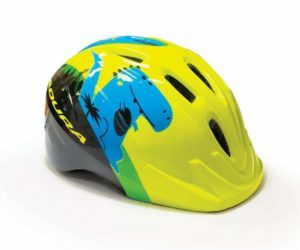 With a sporty look, the J6 also features an improved fitting system for a more precise and comfortable fit, a thicker EPS liner at the rear of the helmet for better 360° protection, and the bright colours across all models ensure great visibility while out riding. 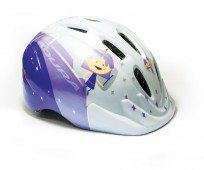 Juvenile Helmets with sporty styling and extra head coverage for small head protection. Great new colour combinations and enhanced graphics for improved visibility and styling. 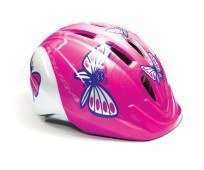 Light weight (260g), featuring a fused outer shell and impact-absorbing EPS liner using In-Mould technology. Anchored straps for greater strength and safety. 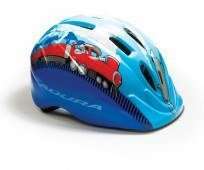 All Adura helmets meet Australian Standards (AS/NZS 2063:2008+A1:2009). We have designed the rear nape to provide more protection, with strategic thickening and expanded EPS to offer protection to vulnerable areas.